Oversized Montana rancher Mach Halley’s very big Stetson and giant belt buckle are hiding a secret of cosmic proportions: He’s a survivor of a transgalactically prohibited private army of cyborg alien warriors built to kill. But with a long-dormant member of his unit about to be born, he needs a healer—even if it’s a pretty little lady doc who must forget everything she sees. Making a name for herself in rural, large animal veterinary medicine has been tough for Doctor Chien Lun-mei, so she takes a strange midnight call to prove herself—only to discover a secret wilder than any bucking bronc. If she rants about UFOs and ETs, she’ll be laughed out of the county, but this strong, silent cowboy who feels even more out of place than she does touches her in more ways than one. 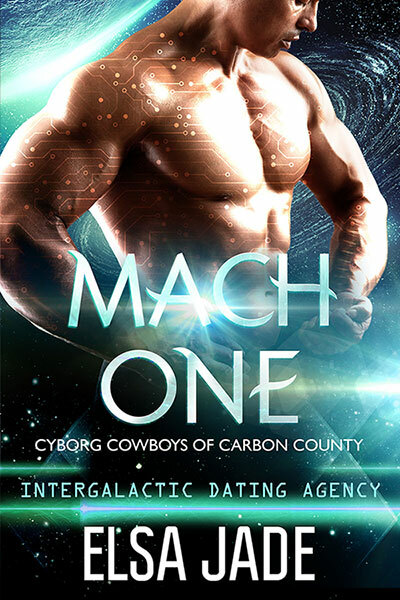 Together they’ll fight to save an alien life, but for Mach to escape a war he never wanted, he’ll have to risk an alien love.